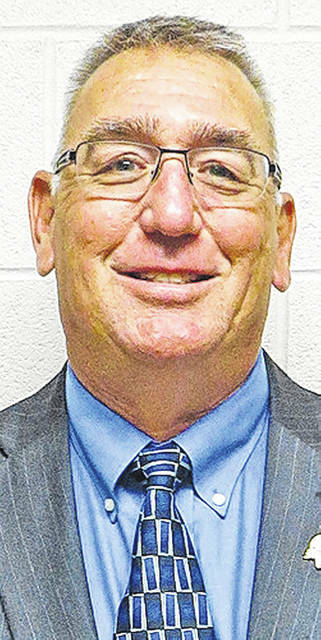 Citing a desire to live closer to home and Lake Erie, Bright Local Treasurer Randy Drewyor said Wednesday that he will leave the school district effective May 31 to accept a job with the Huron City School District. The Bright Local Board of Education accepted Drewyor’s pending resignation during a special meeting last week. Drewyor, who became Bright Local treasurer in August of 2016, said he has enjoyed his time with the school district and believes it has made great strides in recent years. But he said it was a desire to move closer to the lake, and the opportunity to work for a larger school district, that were his reasons for moving on. Drewyor is originally from Toledo. He worked in the paper industry for 33 years before he decided to change careers. Before that, he worked in northeast Pennsylvania for five years then moved to Chillicothe and worked at Mead Paper for 28 years. During that time he also served for 20 years as an adjunct professor at Ohio University-Chillicothe, was on the Chillicothe City Schools Board of Education for nine years and served on the Pickaway, Ross Career and Technical Center Board. Superintendent Ted Downing he hates to see Drewyor leave, but understands the decision. Drewyor said the district hopes to have a new treasurer in place by June 1. He said if that does not happen, he will try to work something out, like possibly going back and forth from place to place for a time. “I want a smooth transition and do not want to take away from all the good things we have done,” Drewyor said. Under the leadership of Downing and Drewyor, Bright Local has continued to build a track record of financial stability while making significant investments into the district’s facilities and transportation fleet. In addition to the improved facilities, the district has seen a stabilization in enrollment and improvements in test scores, the school district said in a news release. The news release said the district will begin the search for a new treasurer immediately. Anyone interested can visit the Ohio Association of School Business Officials (www.oasbo-ohio.org) website to view a detailed posting for the job. Bright Local has a permanent improvement levy that will appear on the primary election ballot in May. A similar levy was defeated in November. However, Downing said that while the new levy is for the same millage as the last one, it is only a five-year levy as opposed to the permanent levy that was defeated in the general election. “The Bright community is blessed with a very good board of education, an awesome administrative team, and excellent teaching and support staff,” Drewyor said in the news release. “The improvements made over the last three years have been the result of collaborative efforts with a keen focus on protecting taxpayer assets and delivering the best possible education experience to our most important customers — our students.